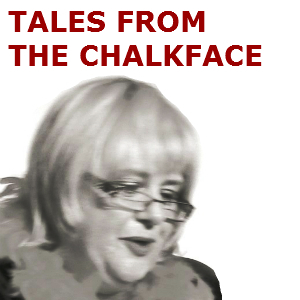 Tales From The Chalkface: Conformity Rules – OK? One of the delights of working in a language school rather than a regular school is never having to impose some regulation about what students should look like. Nowadays, it’s rare for me to have to tell anyone to take this off or put on that, so it seemed like a blast from my English-school past to find myself in battle with a teenager who thinks that wearing a gangsta style hat in a well-heated school is a must. Like riding a bicycle, enforcing a rule is something a teacher never forgets, and I quickly found myself going through the familiar stages. First, it’s the reasonable explanation of why it should be removed (because it’s not appropriate for a work environment), then, when the misdemeanour is repeated, it’s the temporary removal of the offending article, which is returned with a warning that should the offending object be seen on would-be gangsta’s head indoors again, said gangsta would end up waiting for its return from the head teacher. This really does not promote good teacher-pupil relations, and I take little delight in being seen as one of the fascist hat police, but I make a fuss because, at the institution in which I work, I am responsible for upholding the rules, few as they are. That was a school where graffiti was usually non-existent. The amount of unofficial scrawling on that display made it clear to me that whatever might be gained by adopting a uniform would not match what would be lost. Luckily, the school I work in now aims to foster a family environment and, unless you’re the Von Trapps, most families don’t force their children into uniforms. Just last week, I was exploring Orwell’s 1984 with a class. When we read about his depiction of a totalitarian state where all are required to wear uniforms, the students understood very well how sartorial conformity can be used as a means of social control, and appreciated the freedom they enjoyed. As for me, I’m no Big Brother – but gangsta hats seen indoors are likely to be liquidated on sight.